The Patient Protection and Affordable Care Act – better known as Obamacare or the Affordable Care Act – was signed into law by President Barack Obama in 2010. Since then, it has generated enormous amounts of debate, controversy and uncertainty. Yet no one disagrees with the plan’s broad objectives – to make health care more affordable and to include a larger number of Americans under the insurance umbrella. The controversy is over the route to get there. 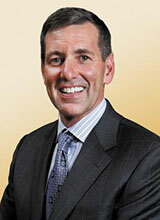 Bruce Broussard, president and CEO of Humana, the fourth-largest health care insurance group, acknowledges that the health care industry has been in a state of flux as the details of the plan – stretching on into 2020 – continue to be ironed out. In an interview with Knowledge@Wharton, he offers his take on Obamacare and the challenges – and opportunities – it presents to health care stakeholders. Knowledge@Wharton: You have earlier said that there are a lot of bumps in the road ahead of the Affordable Care Act. You have also indicated that the price of insurance isn’t likely to be going down anytime soon. Can you tell us a little bit more about that? Broussard: First, I want to say that we are very positive [about] the fact that health care reform is going to expand coverage…. But it is going to raise the cost of care. And what we see is that the three-to-one band [the provision that the cost of coverage for the elderly, even those with a history of [expensive] interventions, must be a maximum of three times that for healthy young individuals] is going to make the younger population and the healthier population pay more to help the older population, because that band is going to restrict our pricing. Knowledge@Wharton: So young people who are very healthy will be paying more than they expect in order to fund old people? Broussard: That’s a good way to put it. You know, there’s a lot of work going on right now in the details of health care reform. So it’s not completely finalized. But the way it looks today, and what the experts are telling us, is that the public is going to see an increase in health care insurance in 2014. Knowledge@Wharton: Overall, looking down the road at the implementation of the Affordable Care Act, you have expressed concern about the fragmented — somewhat chaotic — nature of everything going on. Could you give us an idea of the concerns on the insurance side and on the care delivery side? Broussard: We have not seen all the details around health care reform. The implementation is going to be at the end of the year. In fact, people will probably start buying [insurance] in the fourth quarter or so. We are asking for some more detail. The second aspect is that it is such a complicated bill. There are so many interrelated details that I don’t think anyone knows all the different parts. Our concern is about what we don’t know. Knowledge@Wharton: In terms of the health insurance exchanges, which are a large part of all this, it’s a matter of months now before things have to start happening. We know some states are doing something, some states are refusing to do things, some states are setting up their own [exchanges] and some are going federal. What are your expectations of what will be there by the deadline? Do you think it’s realistic to expect that, a year from now, health exchanges will be up and running in 50 states? Broussard: I don’t know if it’ll be 50 states. The states have to decide if it’s going to be a federal program or a state program. I think that there will be a lot of detail that has to be worked out over the coming months that could [delay] it. But I think everyone’s intentions are to have it off the ground. Knowledge@Wharton: On the cost issue of the young versus the old, do you think the public fully appreciates what’s coming? Broussard: I don’t think it’s been talked about enough in public. I think the communication of the reform has been around the expansion of the coverage. But I do not see a real, large conversation around what the impact is on the public. Broussard: We’re not revealing the 10 states. These are states where we have a significant presence today and states where we feel that we can offer the best plan for members that participate in the exchange. It’s really the bigger states that we’re focusing on. Knowledge@Wharton: I’m guessing that some of these states will be state-established exchanges, and some federal-established. Do you have any sense of which will be better for you in terms of a business model? Broussard: I don’t know if one is better than the other from a financial point of view or, for that matter, ease of use. But we do think that a federal-funded exchange is easier for us because we have to deal with the rules of one exchange as opposed to dealing with the multiple rules of each state. Knowledge@Wharton: The other issue we’re really interested in is retail medicine. Over the past several years, there has been an explosion of walk-in clinics, staffed mostly by nurse practitioners, in drug stores, in mall front stores and in other consumer venues. In parallel, ambulatory walk-in facilities have been popping up everywhere. These are essentially a cheaper alternative to emergency medicine. Is this development a good thing or a bad thing for big insurance companies and health delivery companies? Broussard: It’s a good thing for the consumer. It’s cost-effective. It also brings convenience. What we see in our relationship with our customers is that they are asking for something that is cost-effective and convenient. There are a lot of conditions that can be properly treated in these settings. So we’re excited about that. We have an organization called Concentra that has a lot of these clinics. We also have guidance centers in a lot of our markets that help to provide convenience and cost-effective care. Knowledge@Wharton: Does Concentra function as a feeder network for any of your other products? Or is it standalone? Broussard: If someone comes down with a cold, we provide help at the clinics. If it is a longer-standing condition, we refer them back to their primary-care physician or to whatever provider they have a relationship with. It’s irrelevant if it’s a Humana physician or non-Humana. We still refer them back to the physician. Knowledge@Wharton: Some observers have raised concerns that Minute Clinics and drugstore clinics have the ability to disconnect patients from the continuity of primary care and the health implications of that. What are your thoughts? Broussard: You bring up two interesting points. One is from the standpoint that they [patients] are voting with their feet. They’re voting with the price and the convenience side. So, if they’re going back, it’s an enjoyable experience, an experience that they desire. The second aspect is a fundamental challenge in the health care delivery system, and that is around the connectivity of information. Health care has been divided within silos, and the connectivity of information has been lacking. We are optimistic that this particular issue will be taken care of. If a patient goes to an episodic kind of service such as an urgent care center, when they do decide to go back into their continuing care-delivery system, they will be able to get the information [records]. But I still believe that you will see continued growth on the retail side because of convenience and price. I think the key for us as leaders in health care is how to connect that to the more traditional side where there are more chronic conditions and more acute care is needed. Knowledge@Wharton: If you look down the road 10 years at the networks of these clinics and ambulatory care centers and the traditional hospitals and other care delivery systems, where do you see the relationship going? Are we likely to see most of them become aligned feeder systems? Are we likely to see parallel competition? Broussard: I think the primary care model will continue to grow to be a very influential part of the referral system of health care, whether it’s a primary care model in the retail setting that you’re referring to or primary care in a traditional setting around a family practice delivery model. We are big believers that the model will continue to be a very important part of health care because health care needs somebody to help navigate through the journey of care. And the primary care, family-practice-oriented physicians are really the key to that. Knowledge@Wharton: You raised the point of chronic care. Chronic care, particularly conditions like diabetes, account for a lot of the care that’s given and a lot of the revenue. If the clinic systems start to pull in diabetes patients on a big scale, it has revenue implications for everyone. Do you see that chronic care delivery will become a normal part of what these clinic networks and even ambulatory-care networks do? Broussard: If staffed with primary care physicians, they could very well do that. I believe that that health care will continue to be more segmented, and patients like diabetics will actually have a holistic view of health care — I mean treatment. So they will not only have a primary care aspect, they’ll have a nutritionist there. I think they’ll have foot specialists in there. And they will be taken care of from a holistic point of view. To me, that’s how you can compete, whether you’re a family practice or an urgent care center. It’s looking at the person in a much more holistic fashion as opposed to a particular treatment. And I think the patients will go to that particular model as opposed to just convenience because you’re delivering much more value. Knowledge@Wharton: Another big trend out there in health care today is the movement, in keeping with the Affordable Care Act, towards team care, bundled care, a completely different sort of integrated approach to health care. Humana’s been involved in this longer than most other companies. Tell us a little about where this is going. Broussard: We believe that integrated care is an important part of the delivery model, both in being able to reward for cost and quality, and being able to oversee the journey of health for individuals. The recent President’s speech talking about pay for performance highlighted that need. At Humana, we believe in the integrated delivery system through what we refer to as the integrated model. That has three components. One is the delivery system, where we have created relationships with primary care physicians and providers in general around aligned incentives on quality and cost. The member experience is another area that we orient to — encouraging people to be actively involved in their health care. We have a company called Vitality. It encourages members through rewards on health. If you take 10,000 steps a day, you get 15 points. We’ve found that by understanding your health through health-risk assessment and participating in these programs, you become actively engaged in your health. This can really have an impact. The last component is data and analytics. We need to have the data and analytics. That includes integration of systems, along with clinical analytics and also consumer [data]. Knowledge@Wharton: How far away are we from the IT part, a huge concern. There seem to be hundreds of silos of different systems. How soon do you think there will be some sort of rudimentary, universal system of medical information exchange? Broussard: We’re making progress — slowly… The first step was to wire the offices, which was the electronic medical record [EMR]. Now everyone has separate EMRs. The next step is bringing those together. Health care exchanges will probably be the first step in that aspect. Humana has taken that step by acquiring a company called Certify. It is a company that connects one EMR to another so that we and our providers can see not only what’s going on at the particular primary care office or a hospital, but also across the health care delivery system and the individual’s [record] both recently and historically. Knowledge@Wharton: Let me ask you one final question. Looking at the Affordable Care Act, what do you think is the biggest unappreciated challenge that insurers and care-delivery companies will face — the challenge that the public least understands? Broussard: Well, we’ve talked about pricing. That’s probably the biggest issue. There’s a lot of detail to work out. The problem is we don’t know those details. And that’s why I say it’ll be a bumpy road until we know those details. I believe that health care is on a good road. There will be some troubled times right now related to implementation. But I look to the future and I see technology information systems. I see the ability to bring all this together and to have an impact on cost and care long term.